We know as devs, your expertise lies behind the scenes - so keep building! - however, the submission video needs time too! It's often the first thing that judges and voters review. Establish your elevator pitch.  In the first few seconds of your video, explain how your app solves a pain point leveraging the Microsoft Graph Security API. Within 60 seconds, viewers tend to lose interest, so use this time wisely to keep them engaged! Show, don't tell. Providing real life context and showing users firsthand how your application solves the problem and uses the Microsoft Graph security/alerts or security/securescore entities, will help judges and voters understand and appreciate your product design. Keep it simple. Per the official rules, your video shouldn't be much longer than five minutes. Don't wait until the last minute to upload your video. Due to file size, format, and your Internet connection, uploading a video to YouTube, Vimeo, or Youku could take anywhere from a few minutes to several hours.